Inspired by working detection dogs, K9 Nose Work® is the fun search and scenting activity for virtually all dogs and people. This easy to learn activity and sport builds confidence and focus in many dogs, and provides a safe way to keep dogs fit and healthy through mental and physical exercise. 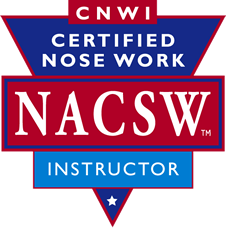 K9 Nose Work® starts with getting your dog excited about using his nose to seek out a favorite toy or treat reward hidden in one of several boxes, expanding the game to entire rooms, exterior areas, and vehicles. As your dog grows more confident with his nose, target odors are introduced, and competition skills are taught. Email Vicki with questions, truelovefordogs@gmail.com. Dogs easily burn lots of mental & physical energy doing searches. Equals 3-4 mile run with your dog! Searches can be done anywhere you can take your dog. No prior training is required and no obedience is needed. In classes, dogs work one at a time and rest crated or safely in a vehicle between searches so reactive dogs put their energy into fun searches. Stronger bond between dog & handler as handler learns to observe, understand, and rely upon his/her dog. Any age dog, blind, deaf, senior, puppy, handicapped can do this. This class is designed to get your dog excited about using his nose to seek out his favorite toy or treat reward hidden in one of several boxes. As your dog grows more confident with his nose, we'll introduce new challenges and searches beyond the box. This course will meet in a new, real-world location each week where we’ll focus on one of the elements and the unique challenges posed by novel environments, weather and environment. This class will be tailored to needs of students. Email Vicki if interested, truelovefordogs@gmail.com. 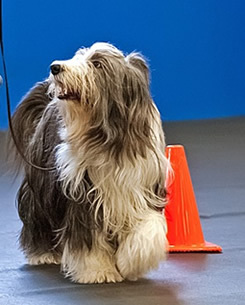 Hooked on Nosework Advanced - "Advanced Team Pawtropolis"
This course is for students who are preparing to trial, already trialing, or have taken 1-4 classes. If you've taken classes elsewhere and feel you are ready for this class. Contact Vicki for approval. Email Vicki with questions or if interested, truelovefordogs@gmail.com. The AKC’s Canine Good Citizen program is designed to lay a solid training foundation for any dog. CGC is a two-part program that focuses on responsible pet ownership for owners and basic good manners for dogs. Our class is designed to prepare owners and dogs for the Canine Good Citizen exam. The exam consists of 10 exercises that test the skills of the dog and handler in real-world scenarios. 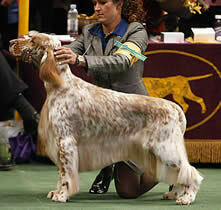 All dogs that pass all 10 exercises may receive a certificate of completion from the AKC. 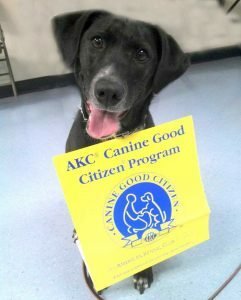 You also have the option to register your pet with the AKC and receive an official title for Canine Good Citizen! All dogs are welcome to participate, although you and your pet should have some basic obedience before registering. Already certified your pet as a Canine Good Citizen? Ready to take your skills to the next level? Community Canine (also known as Canine Good Citizen Advanced) is the class for you! Our AKC certified evaluator will spend 7 weeks getting you and your pet ready for the Community Canine exam! Community Canine focuses on honing your obedience skills with real world distractions. The class will meet for 3 weeks at Pawtropolis to practice and then we'll meet off-site for the last 4 weeks to perfect those real world skills! The Community Canine exam will be offered after completion of the class. Exam items are similar to CGC items but with much higher level distractions. Enroll your pet today and take the next step in your training journey! Taught by Tamela Boyd, Rally (or Rally-O for Rally Obedience) is a new dog sport that the dogs love!! A cross between traditional obedience and agility, Rally offers both the dogs and handlers an experience that is fun and energizing. The canine team moves at their own pace (very similar to rally-style auto racing) through a course of designated stations (10-20 depending on the level). Each of these stations has a sign providing instructions regarding the next skill that is to be performed. Rally was designed with the traditional pet owner in mind, but it can still be very challenging for those who enjoy higher levels of competition. Scoring is not as rigorous as traditional obedience and “perfect” heel position is not required. In fact, handlers are permitted to talk, praise, encourage, clap their hands, pat their legs, or use any verbal means of encouragement! 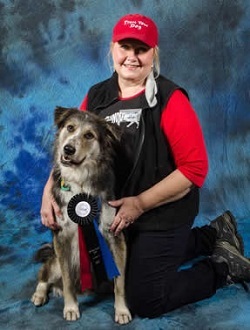 Rally provides a link from the basic house manners and the Canine Good Citizen (CGC) program to competitive agility or obedience…or can be a stand-alone sport for fun and companionship. Your dog is eligible if he/she knows how to sit, down and has basic control while on the leash and is over 6-months old. Come play with us! This drop-in course is designed to meet your handling needs from beginner to advanced. The matted training room will provide an opportunity to work your dog and polish both your and your dog's skills. Bring appropriate training equipment for your breed and small, easily digested treats.